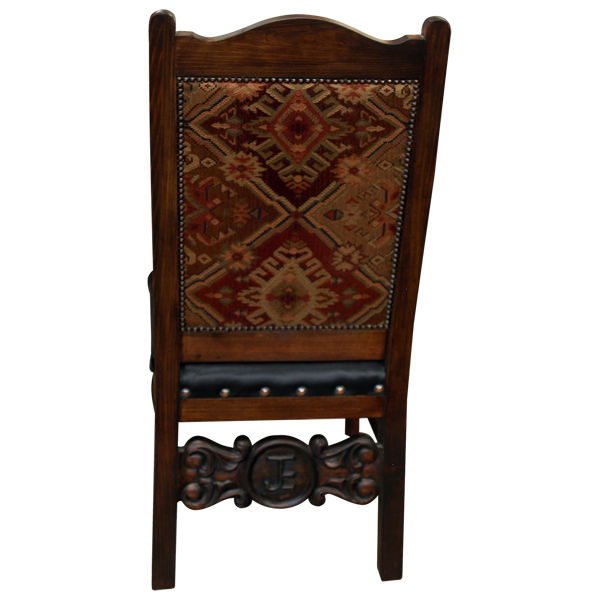 Made without armrest, this Spanish colonial style, handcrafted chair is a perfect option for your dining room. 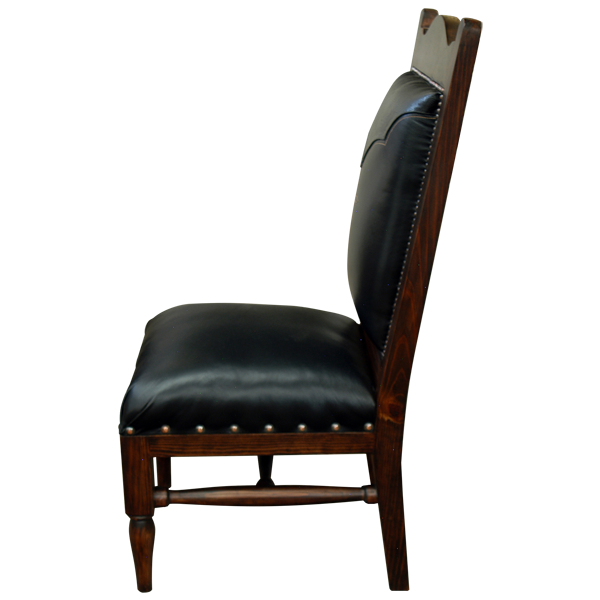 The padded seat and the inside seat back are upholstered with rich, dark, brown full grain leather. The reverse seat back is upholstered with patterned, fine fabric. 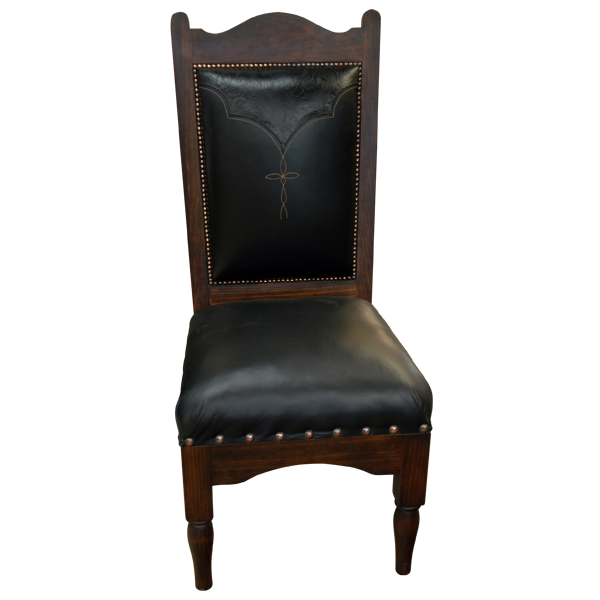 The inside seat back is adorned with a Western cut design with an embroidered, Spanish colonial style cross sewn in its center. The seat is embellished with large, decorative nails, and the seat back is adorned with small, decorative nails. 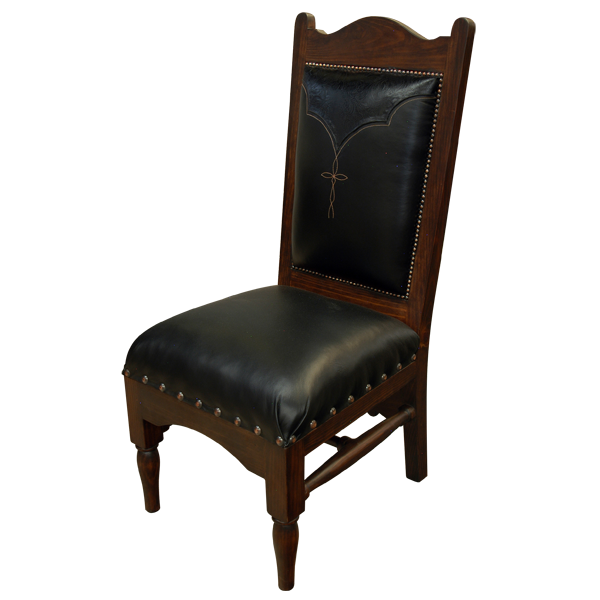 This custom chair has a beautifully finished, tall seat back with a curved top rail. The chair is supported by straight, hand turned front legs, and simple, slightly splayed back legs. The legs are joined by a hand turned “H” stretcher. The intricately, hand carved, back stretcher panel can be personalize with your initials. The chair is made with the best, sustainable, wood available, and it is 100% customizable.